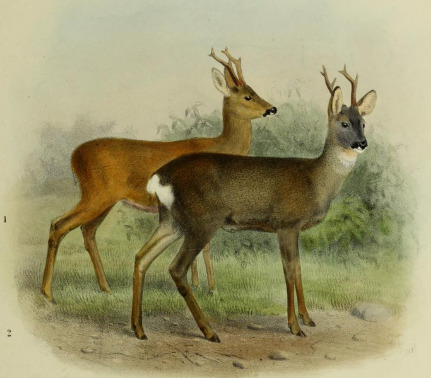 The Isle of Wight’s rich woodlands evolved in presence of wild deer1,2,3,4, , in common with much of southern England these deer populations declined during the 18th century and had disappeared by the mid 19thcentury, only to re-emerge again in the late 20th century. On the mainland these re-emerging deer have descended from a mixture of escapees from captivity, re-introductions and the natural spread of wild deer, the same appears to be true of the island’s deer. There is no evidence to support claims that there are no naturally occurring deer on the island16. Of the five deer species 17that have been seen on the island in recent years both the Red and Roe have the distinction of being amongst the island’s scarcest native woodland mammals. Scientific research including that done by the Forestry Commission indicates that both having too many and too few deer is detrimental to biodiversity 5,6,7,8. There is circumstantial evidence that despite the richness of our woodlands we may be slowly losing both flora and fauna species as a result of the relative scarcity of deer. To give but one example some of the woodland birds that are quite commonly found in the New Forest have been described as “curiously absent” from the Isle of Wight9. Scientific research illustrates the beneficial interactions of deer activity with these birds10,11 . “To maintain and enhance the favourable conservation status of a naturally important wildlife site”. Heathland, Acid Grassland and Wood Pasture are mentioned as priority habitats and the Design Plan acknowledges that many of these were once grazed by deer. 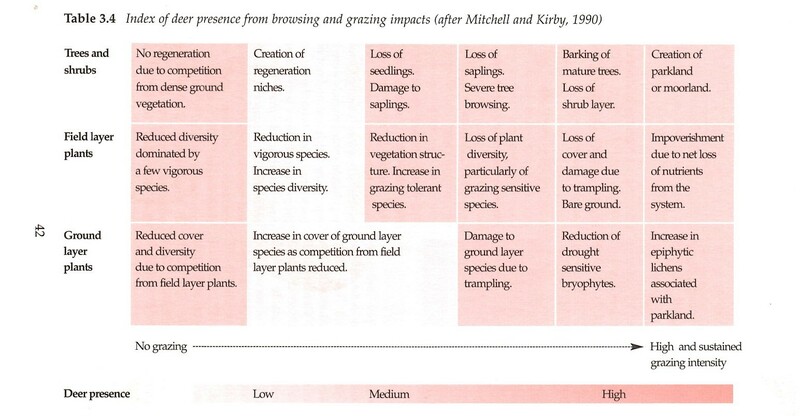 These grazing activities helped to maintain floral diversity and aid seed dispersal. IW Deer Conservation believes that wild deer have a role to play in maintaining these priority habitats in the future as they have done in the past. Both the IW Forest Design Plan and South England Forest Deer Management Strategy make various claims pertaining to the absence of deer being of benefit to our unique flora and fauna, however scientific research indicates that this is not true, and that woodland biodiversity decreases when deer are not present. Both historical and archaeological records indicate that wild deer and the rest of the island’s unique flora and fauna flourished together over thousands of years in our rich woodlands. Claims that any deer present on the island have posed a threat to this unique ecology appear to be without foundation. IW Deer Conservation believes that the biological diversity of the islands woodlands would be best served by the sustainable management of our local deer with the presence of native deer species being prioritised. “Our overall objective for deer management, in line with Government’s aim in England is to maintain a well-managed and healthy deer population, which presents no threat to long term environmental, social or economic sustainability, and to limit as far as is practical, the further spread of recently introduced species”. The Deer Initiative publishes these best practice guides which together with their Vision Statement and Accord set out these minimum acceptable standards for deer management. The Isle of Wight is a geographically self-contained area which restricts cross-Solent deer migration, the Forestry Commission claim to have successfully controlled both native and naturalised deer species on the island in the 20th century and to have received widespread support from landowners for doing so. This together with reference to the past history of wild deer on the island indicates that landscape scale deer management for these species is entirely feasible here. However, it would appear that persecution of these native deer in an ill-conceived attempt to establish the Isle of Wight as a long term experimental deer free zone13,14,15 may have merely widened the ecological niche for the island’s Muntjac deer to expand into. Neither the Isle of Wight Forest Design Plan nor the South England Forest Deer Management Strategy (17.Isle of Wight) are compliant with Defra policy, the Forestry Commission’s own policy for the rest of southern England, and the principles set out in the Deer Initiative’s Best Practice, Accord and Vision statements. This is unacceptable, both the IW Forest Design Plan and South England Deer Management strategy (17.Isle of Wight) clearly need to be urgently revised. A bona fide deer management plan is necessary for the island and we would like to invite the Forestry Commission to participate in further discussions regarding the drafting of such a plan. 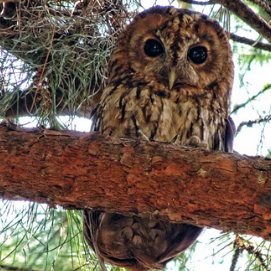 8 Forests and Biodiversity UK forestry Standard Guidelines. F.C. Previous story What is the Fate of UK Red Squirrels?